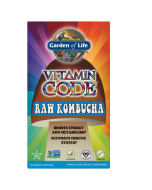 Vitamin Code RAW Kombucha—the best attributes of kombucha’s origins—the potent B vitamins, probiotics, digestive enzymes and high polyphenols from black tea—delivered to you sugar free in convenient capsules. Made with individually grown nutrients utilizing probiotic cultivation to produce RAW Food-Created Nutrients™, Vitamin Code supplements are delivered in a whole food base of fruits and vegetables. Vitamin Code supplements are RAW, which not only means that they are produced below 115º F, but also means that these nutrients come with their natural cofactors, along with live probiotics and enzymes, just like raw foods! Vitamin Code® raw powders are delivered in capsules without any binders or fillers—everything you want and nothing you don’t want. Traditional kombucha is a fermented beverage made from sweetened black tea, popular for daily detoxification support, as an energy drink, and a digestive aid.† Vitamin Code RAW Kombucha includes the best attributes of kombucha’s origins—the potent B vitamins, probiotics, digestive enzymes and high polyphenols from black tea—delivered to you sugar free in convenient capsules. RAW means no high heat, synthetic binders or fillers, artificial flavors, sweeteners, colors or additives commonly used in tablets. 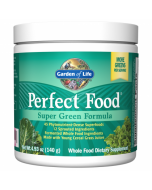 Whole food means RAW Food-Created Nutrients are blended in a base of 23 fruits and vegetables. 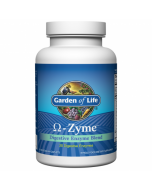 Adults take 2 capsules daily. May be taken with or without food. Capsules may be opened and contents may be added to water or raw juice. GMOs, gluten, sugar, high heat, synthetic binders, fillers, artifical flavors, sweeteners, colors, and additives commonly used in tablets. Other Ingredients: Vegetable cellulose, brewer's yeast (Saccharomyces cerevisiae). Not intended for children. As with any dietary supplement, consult your healthcare practitioner before using this product, especially if you are pregnant, nursing, anticipate surgery, take medication on a regular basis or are otherwise under medical supervision.